C.1906 built by Dr. Thomas McCorkle. entertain with style in this grand home! 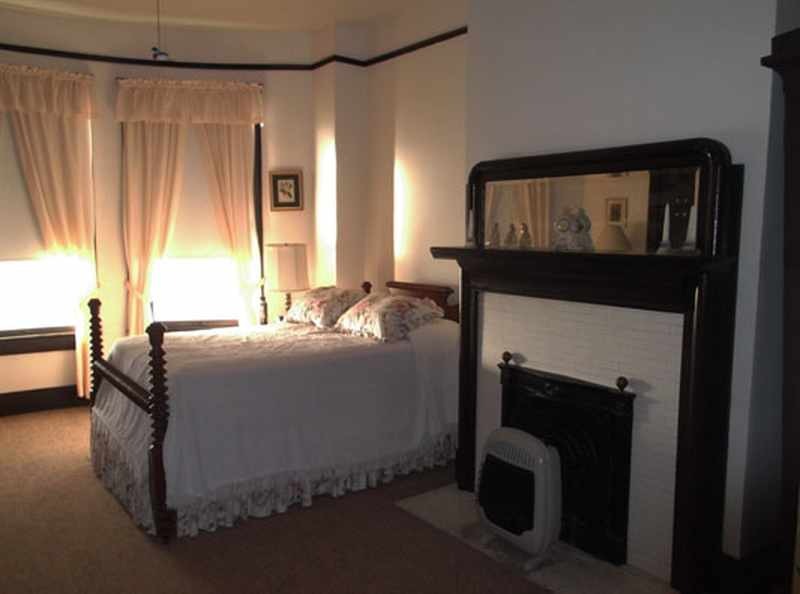 Beautiful parquet floors, 11 ft ceilings, original plaster, marble mantles, pocket doors, double parlors, large country kitchen/den combo with fireplace, 6 bedrooms and 3 baths. 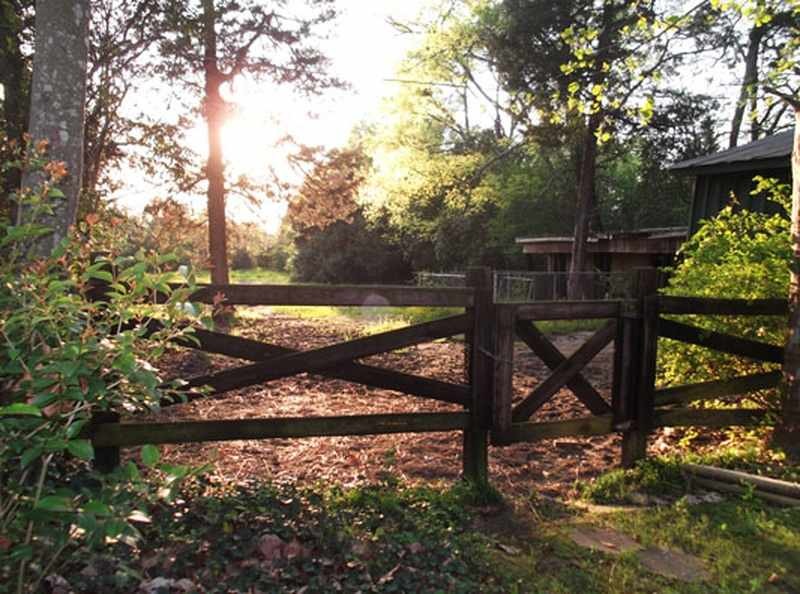 3-stall horse barn and fenced pasture located on 3.9 acres. $125,000. Call Kay Beckett. 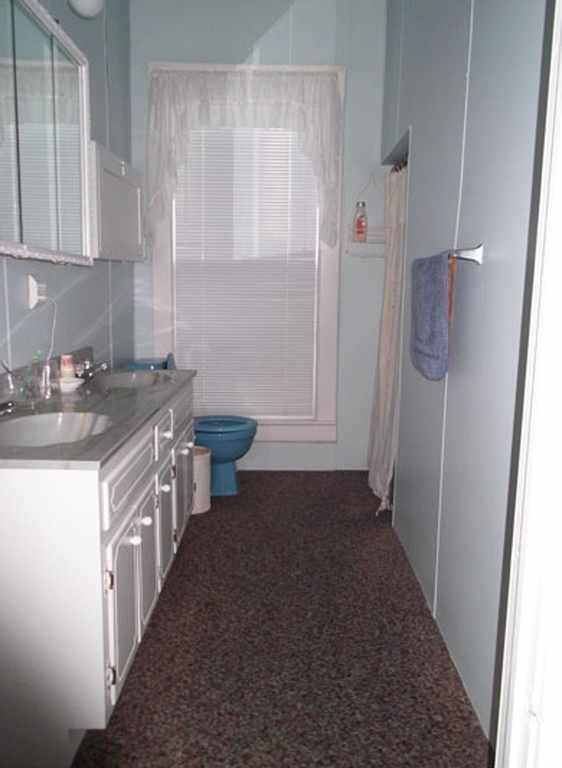 Fairly certain this is a George F. Barber design. Correct again Kelly. Definitely a Barber designed home. I would love to see some old or historic photos of this one. Thanks for posting this one. It’s beautiful, whatever it is. It reminds me of the Dunsmuir mansion used in the 70’s horror film Burnt Offerings. I can’t believe someone else remembers that movie. Lol. Oh the days when a scary movie was scary without the blood, body parts and torture scenes. 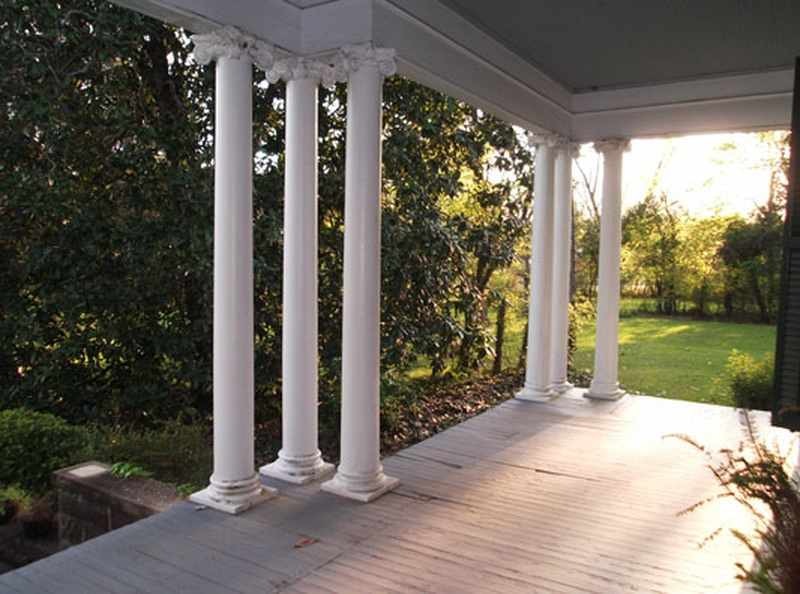 The house in the movie had a different facade but was still in that white, columned, greek revival, southern vain that we find so plentiful down here in the deep south. I don’t get it. What’s the catch? 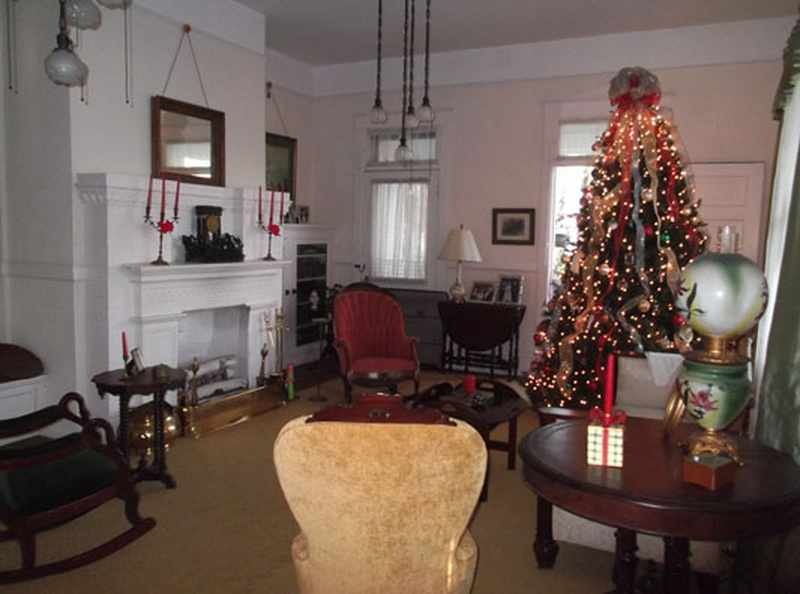 It’s an amazing house with history and land, so why the low price? There has to be a catch. 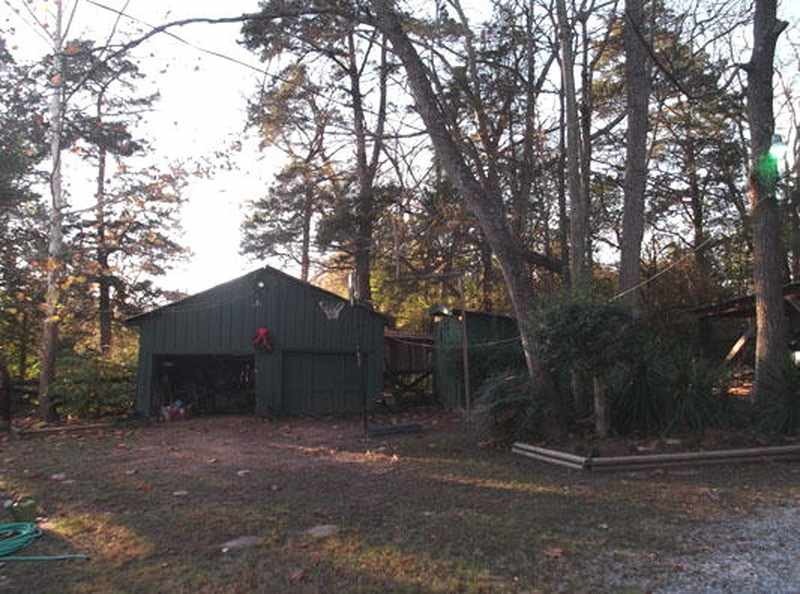 Its in West rural alabama, very very low income. Closest real grocery store is 45+ minutes away. Those stats are accurate? That is horrific! Nationally? People at that income level couldn’t touch this house…or any house. 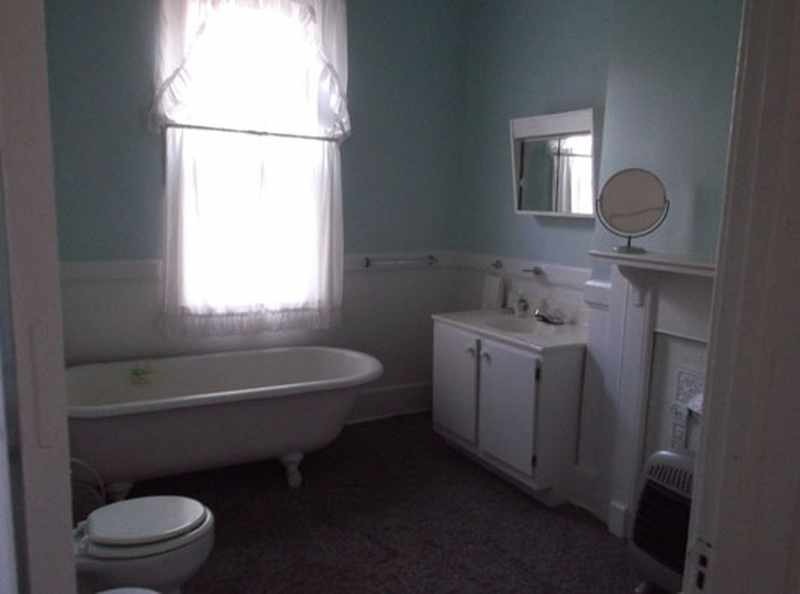 early 20th century colonial…white, white, white. Even white bricks in the fireplace! Needs some wallpaper, some color to make it stand out. This nauseates me to no end. 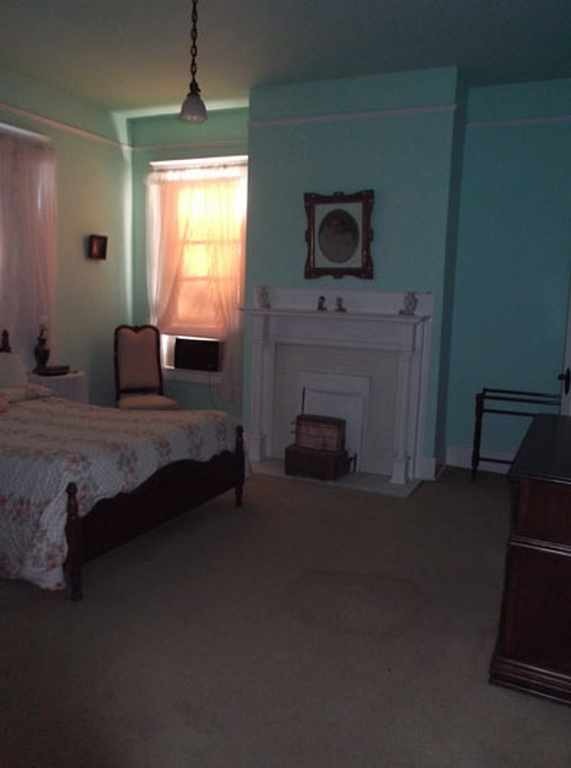 This in no way shape or form would cost 125k in NY here. I paid 290k for a ranch style 15 yr ago on Long Island. This would be over 10 mil easy. I’m sure people would be hard pressed to own this down in ‘bama but wow. Jason, there are plenty of folk in ‘bama that are not “hard pressed” in terms of wealth to purchase this home but you must understand the demographics of Uniontown, Alabama. You see, the Jewish-Anglo merchant/entrepreneur class/population of Uniontown, Alabama, left a generation+ ago leaving only the very wealthy farmers/landowners of the surrounding area and the grossly welfare dependent population of the town of Uniontown. Uniontown, Alabama used to have canneries (food products), light manufacturing, and good paying labor jobs but no more (! )after the afore mentioned abandoned the town due to many, many unmentioned factors. Dying, welfare dependent small towns in Alabama are no different than dying, welfare dependent towns in New York save the ethnic makeup of these towns. I spent many happy times sipping cherry flavored fountain cokes a the local pharmacy in Untiontown, Alabama, as we’d pass through this area. There was something about those old fountain style Coke glasses. That was MORE than a generation ago. these grand old homes! Other than that I could definitely live here! I’m wondering if those interior pictures are recent. The outside looks much more unkept than the inside. Uniontown in a very small town about half way between Selma and Demopolis, AL. There used to be pretty old houses there but not sure there is much even in the way of a grocery store now. Probably have to travel 20-35 miles to one of the other towns. Only about 2000 people living there in the entire surrounding area. The house is very pretty if it is still in this condition. Great value for the price. I wonder whether there was varnish under all that paint on the woodwork. Such a cozy feel to the place. I’m bummed about the kitchen, though. 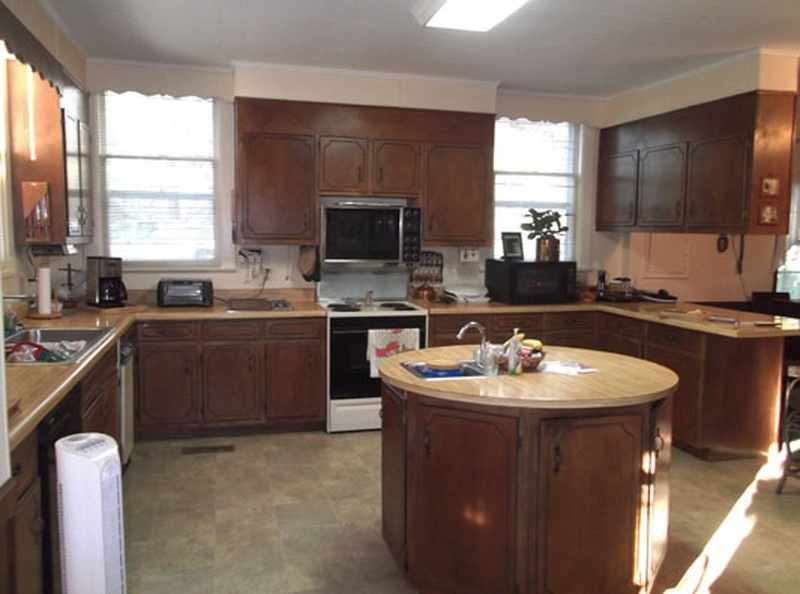 Not because it isn’t “authentic” (I totally dig the 1960s cabinets, especially that round island!) but because it’s part of a later addition with lower ceilings than the grand old house. Southern houses often were built with a kitchen wing with lower ceilings. My kitchen in Richmond has the same eleven-foot ceiling as the rest of the house and I keep a stepladder near to get to the top shelves. 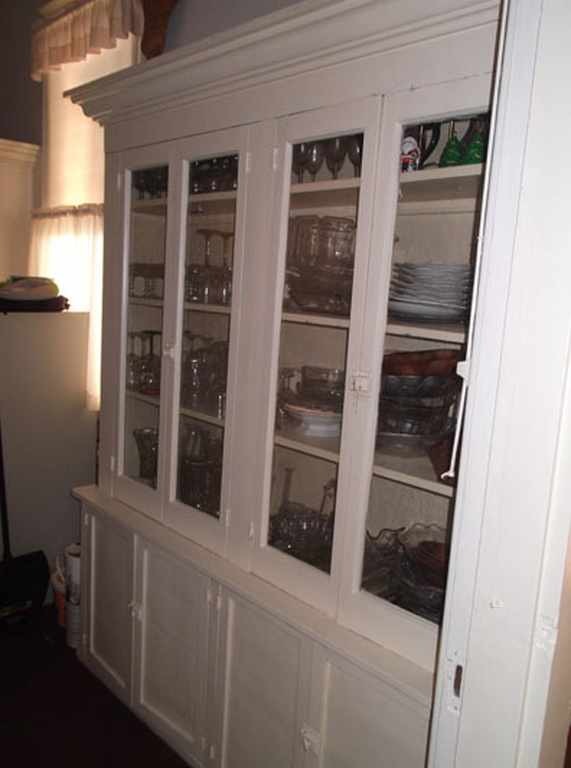 The cabinets over the sink are one foot wide and six feet tall. Not really practical. Kelly, I second that Geo. Barber design origin probability. Barber called many of his Classical Revival designs “Colonial Renaissance” and they were popular in the first decade of the 20th century. 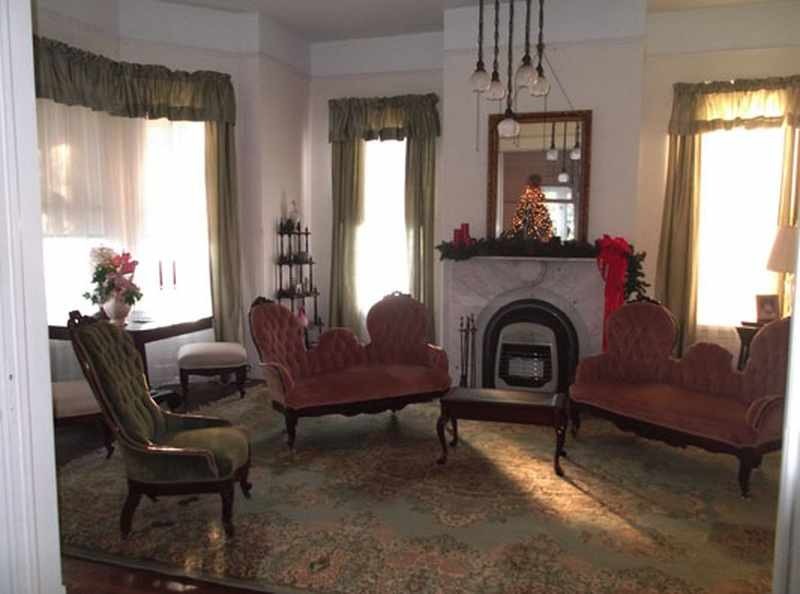 I kind of lost count of the number of mantels in this house although the brick version is surely new and that arched hearth marble mantel is likely to pre-date 1906. 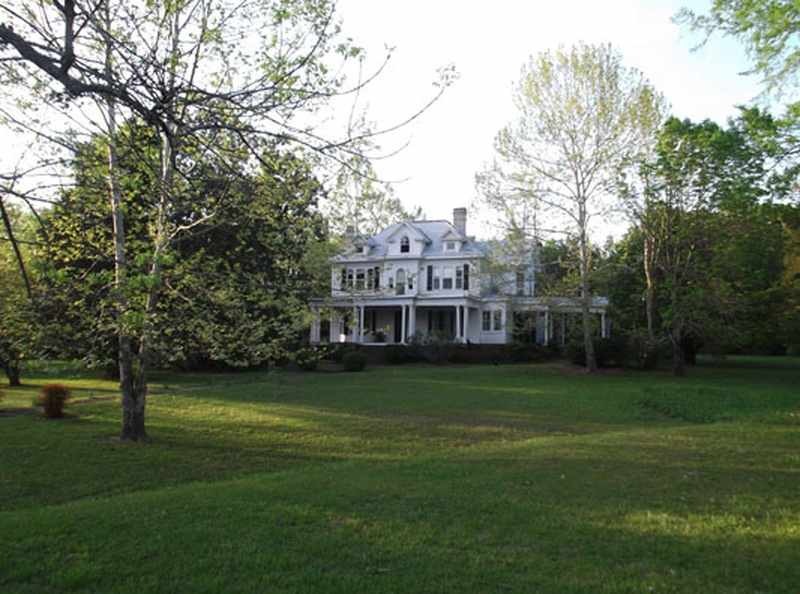 (perhaps it came from an earlier home of the McCorkle family) With nearly 4 acres, the term “estate” comes to mind. 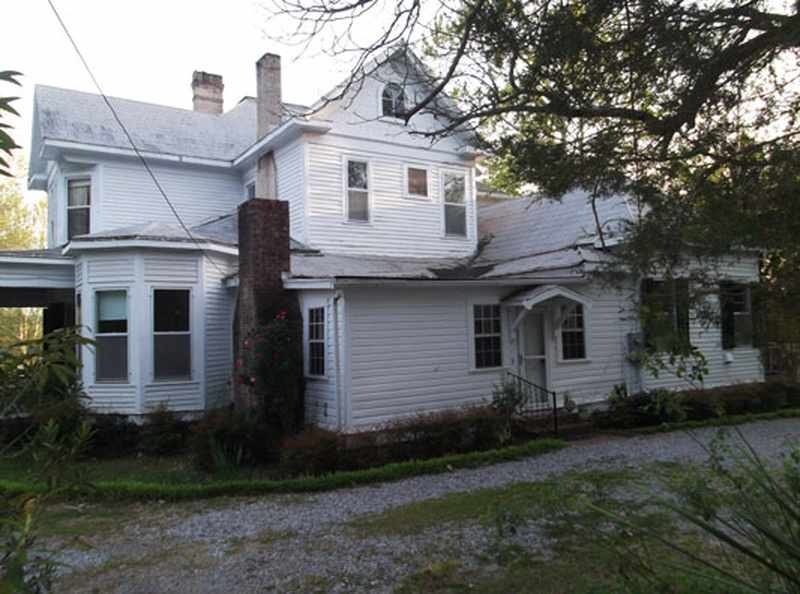 As for the attractive pricing, Uniontown has quite a few 19th and early 20th century homes and being a smaller town, fewer new residents are coming in. This lack of housing demand almost always contributes to lower property prices. The same house and property in a larger city would be priced much higher so it’s price is one of the benefits of small town living. I’m afraid after conducting an unscientific streetview “tour” there’s unmistakable visual evidence of a dying town. A fairly large number of older homes are vacant, abandoned, or boarded up like this example: https://goo.gl/maps/5FyCYRXGdc22 Prospective buyers should carefully evaluate not only the house and property (the town itself has extremely low density and is characterized by single family homes on large lots) but also the surrounding community. It’s always a sad experience to see such community-wide decline but its not unique to Uniontown, or Southern states, but applies to small town America generally. Some of the vacant houses had appealing architectural features so it would be great if some new residents came in and restored several of these period homes before they are gone forever. At some point, an owner of this house had a serious addiction issue. You guys will want to kill me but I would love to salvage parts from towns like this. I don’t mean homes that can be saved but just the ones that can’t. I’d prefer to see this stuff put back in a house that needs to be restored or that a flipper has trashed. Even though the liberty tree was cut down in Philly, you can buy the cuttings from this tree today and have your own liberty tree. Van, I 100% agree with you! 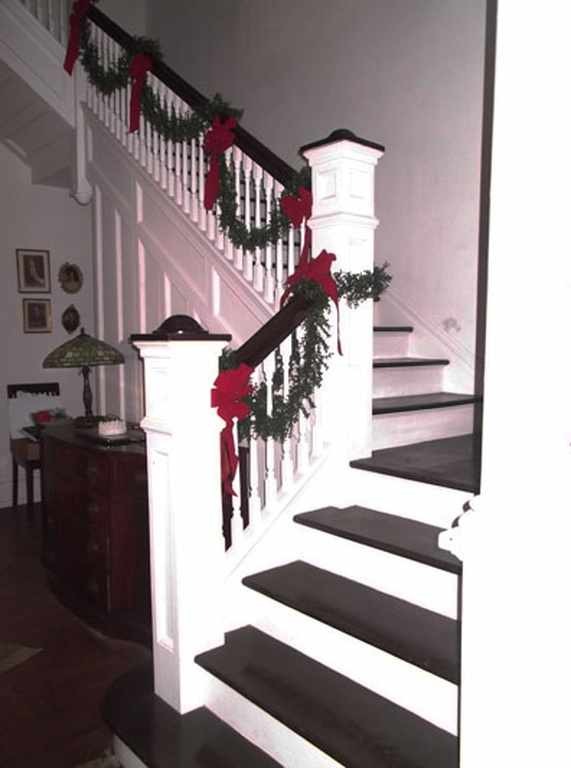 The light, shutters, mantels, etc. Love this house. But long since been a home. Actually, in the foyer picture looks like a desk at the bottom of stairs. Wondering if this mansion was last occupied as a bed and breakfast(?) It would be nice daydream to think someone would come in and buy home and then re-build the town make it atleast a thriving town for people living there and others to join. But unfortunately this isn’t a Big Fish “story”. So if I had $ I would purchase to re-sell “parts for the house”. I adore old homes, grew up in highland ave area of Birminghman, Al. 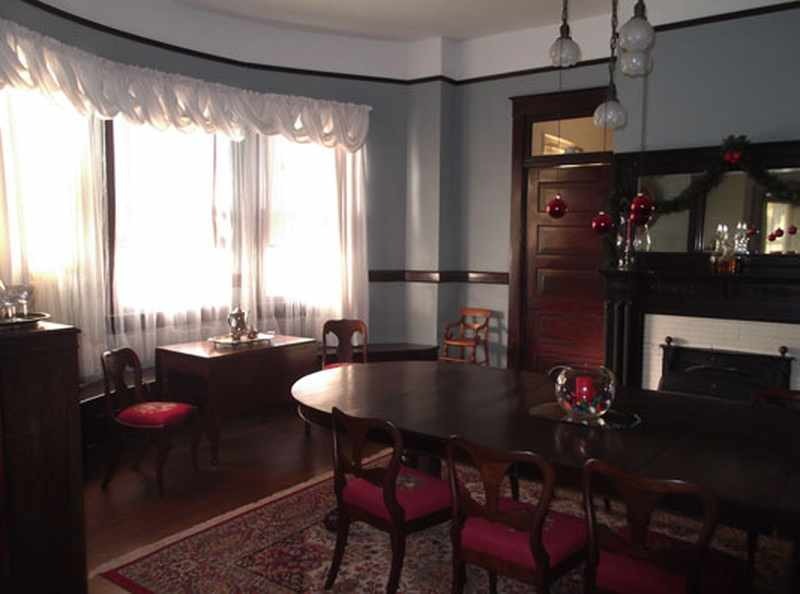 The house reminds me of home, but by my era they were divided into Apts! Such a picture perfect Alabama house! I can just picture Forest Gump sitting on his riding mower out in the front yard. These Barber homes are really something. So sad about the neighborhood. I was raised in a town that had extraordinary homes before the main industry died (never to recover) and to go back and see them decomposing is depressing. 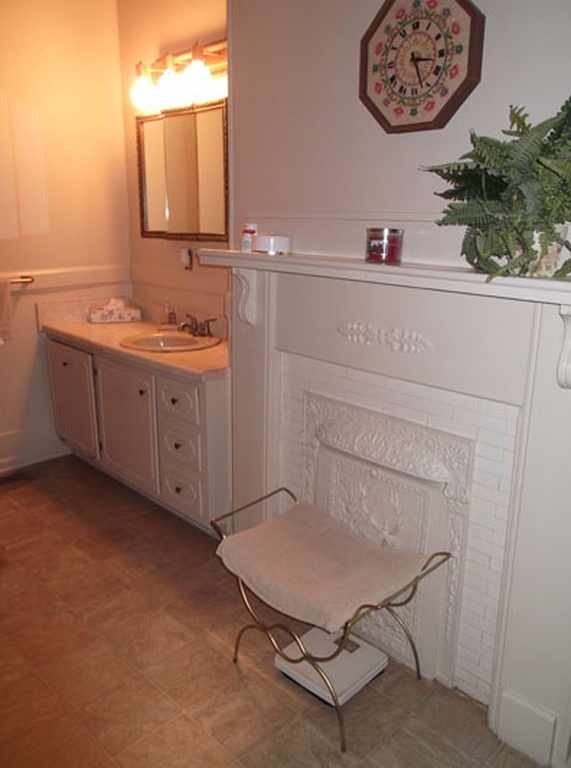 me too – this place has fireplaces to burn but in the bath – what a luxury. You know, I usually feel that a lot of the comments on the houses here are un-neccessarily rough on the kitchens. This is one that could do with some changing! My hope is that more of these small-town USA homes can be saved. More employers are beginning to offer jobs with telecommute options, so it doesn’t matter where you live anymore. Hopefully, folks will start recognizing the craftsmanship, history and value in these grand old ladies. I hate to see them weather away! 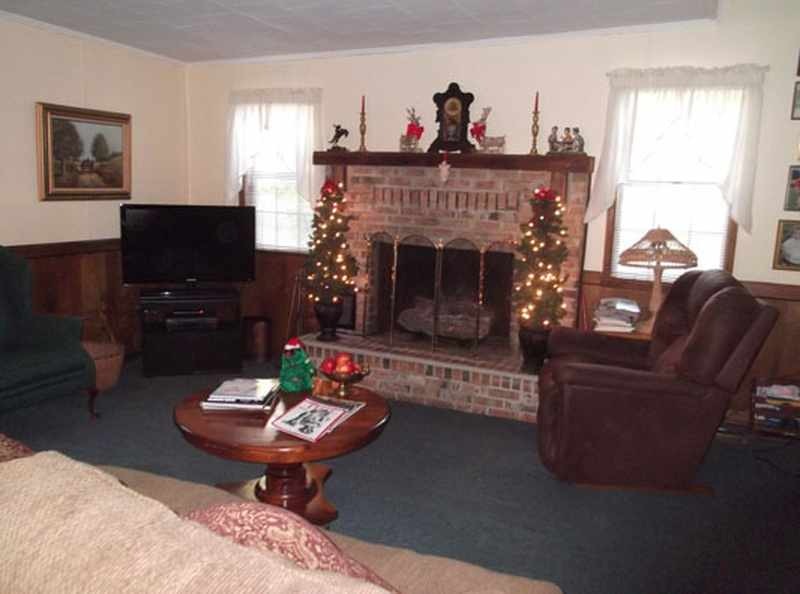 I don’t understand why people close up those fireplaces. That is what gives the home character. I hate it when they do that to these beautiful homes. I actually love the white in this house. They have plenty of color splashed around in the decor, and to me it totally works. I can see how they would be very happy with this. As far as the kitchen! I think if that fluorescent light was changed out, it would help. 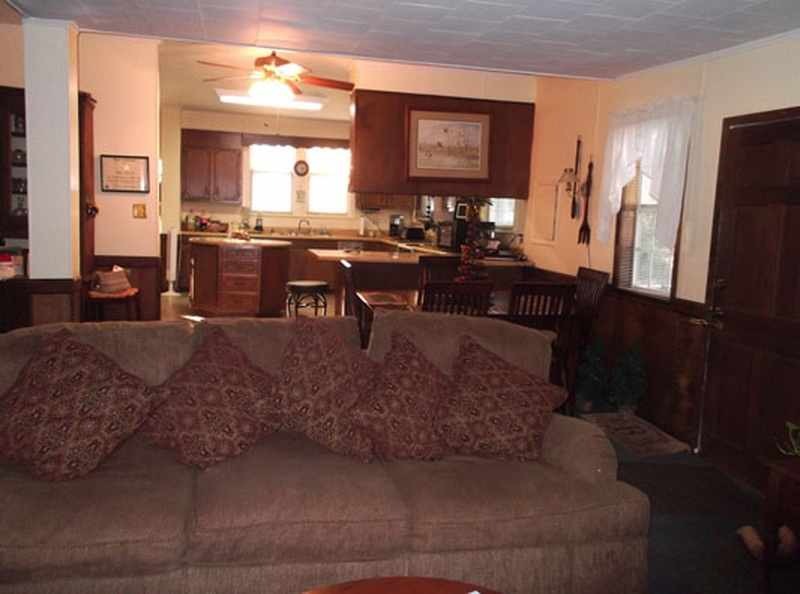 There’s something about the look of the fluorescent in a house like this that just is jarring to me. 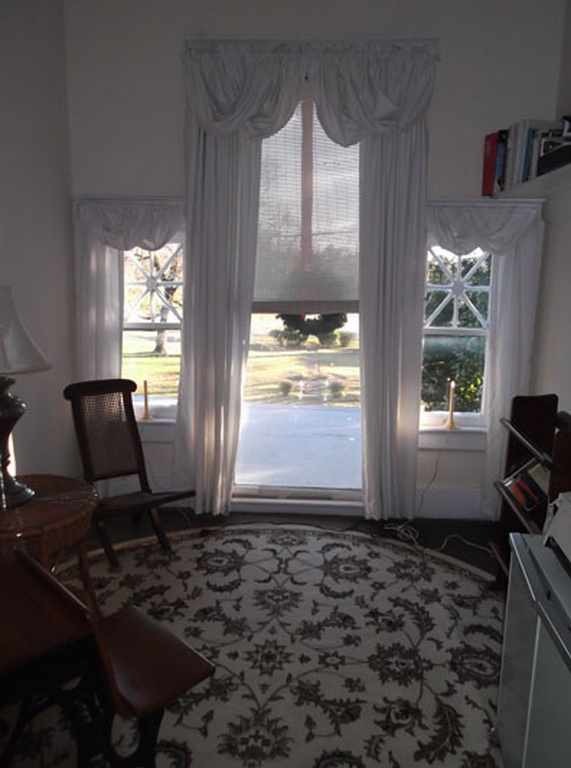 I didn’t like the sink in the middle of the island, until I saw that the sink is really in front of the window (YAY)! So this must be one for rinsing fruits and vegetables or something? That’s kind of a cool idea; I had never heard of doing that though. But it could work! Oh, what a beautiful place to spend the rest of my days! Beautiful house! Beautiful land! Uniontown was where people had their “townhouses”. They had their plantation which was isolated due to transportation, but they would come into Uniontown and build their home to socialize. It was a GRAND town, like a later built version of Natchez MS. My grandmother told me she remembered in the 1930’s men dining at night in tuxes and women in evening wear, like you see in Downton Abbey series. But transportation developed, jobs moved from agrarian to more centralized in cities, newer generations moved away. My mother went back in the mid 1950’s for a graduation party that was feted by her paternal grandmother and someone hosted it in town and there were grand staircases, massive crystal chandeliers, butlers and maids. The tables were set with lace, silver and crystal/china. But that lifestyle is long gone. Those houses fell in disrepair and families left. Salvage companies from New Orleans and Montgomery would raid the homes for architectural relics and the old wood. 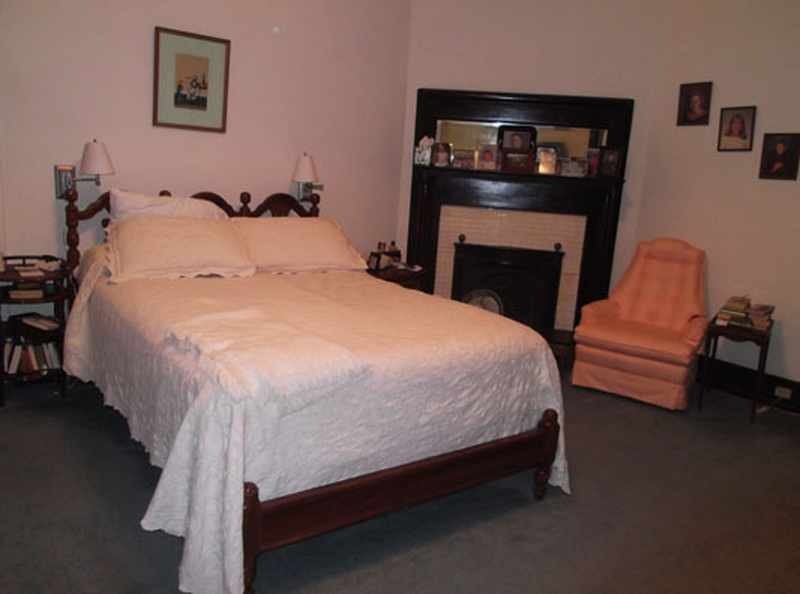 I was told a salvage company wanted to buy the old family home, which was located 10 houses east of this featured home in middle of town, just for the old wood beams as it had been built Greek Revival style home in the early 1800’s but had been remodeled into Craftsman style turned of the century. But no one could care for the house and it burned a few years ago. Trey, if your people are that familiar with Uniontown someone may, may(!) be familiar with Crumptonia. 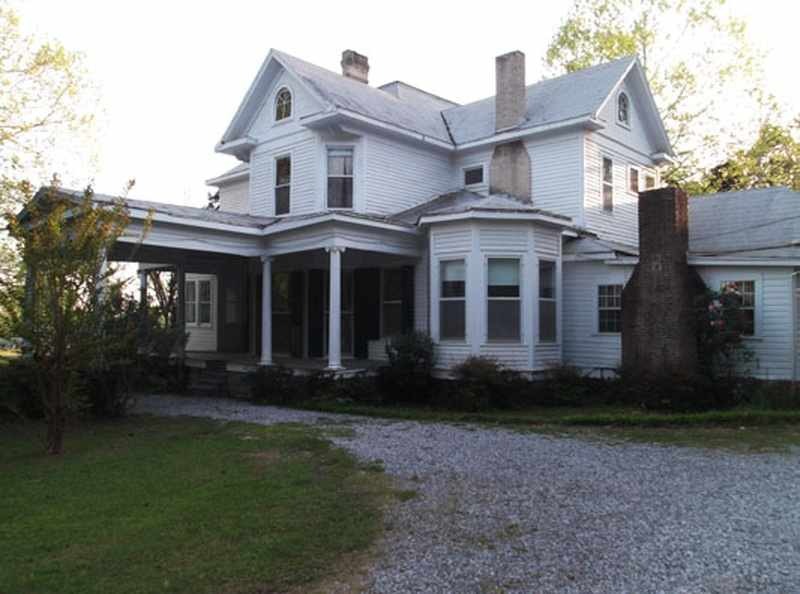 This grand old house is a few miles from Uniontown but the family was very well known in the area. I last saw her some 7 years ago and she was sound but needing someone to give her the very serious love she deserved. Well, someone has!! A very small victory for people who love old homes. Thanks for sharing the Crumptonia former mansion. It demonstrates that many of these faded old house have great potential once they receive some TLC. In streetview, I saw several dilapidated old gems but with adequate work could sparkle again. As for the weak job and economic picture I think anyone who moved here and brought in new jobs would be a bigger hero in the community than a mere old house restorer. Neither goal would be easy but both would be worthwhile. What a bargain and a nice big house w/ 4 acres. I love the round kitchen island, lol.